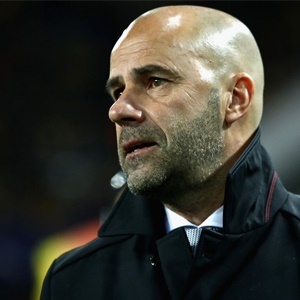 Cape Town - Borussia Dortmund head coach Peter Bosz admits his side are in a difficult state but issued a philosophical response to show confidence in his squad. After storming to the summit of the Bundesliga with six wins from their opening seven games, while conceding only two goals, the attacking outfit have since suffered a poor run of form. Following the previous international break last month, BVB are yet to win a game in six fixtures across all competitions that has left their Champions League campaign in tatters - in third place in the league, six points behind leaders Bayern Munich. The only way the German side can advance out of Group H is if European Champions Real Madrid lose to APOEL and Die Borussen beat Tottenham and Zinedine Zidane's side in the final two fixtures. "You know if you don't win, there'll be pressure," he told reporters. "If you want to call that opposing winds, then yes, we feel the breeze, that's clear." "Over the last three weeks, the winds changed quickly. After the last international break, the first match against Leipzig, that's when it began and we definitely feel it. "But for me, that's the challenge again to turn it around and I'm sure we will manage."